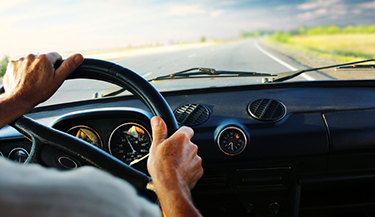 Proper auto insurance gives you the peace of mind to enjoy your driving time without worry...whether it's a cross country family vacation or just your daily commute to work. Auto insurance is a complicated matter. Many people have an insurance policy but do not completely understand how they are covered or what they will do if they find themselves in the position of needing to utilize their insurance. Discover the basic types of car insurance and find out how to obtain the coverage you need for your particular situation. Medical Payments – – This is also called PIP in some states. Medical payments pay for any injuries to the driver or passengers that occur if an accident occurred while you were driving. Medical payment insurance varies from state to state, so make certain you are covered as expected. Along with a number of other states, Iowa is a ‘Fault’ car insurance state. This means that, if you are legally at fault for a car accident, you are financially liable for all incurred property damage or bodily injuries sustained by the other involved parties. This is in contrast to states that are ‘No-Fault’, meaning injured parties must file claims with their own insurance companies separately, regardless of which party is at fault. Because all parties involved must show proof of financial responsibility in the event of a collision, it is generally a good idea to carry auto insurance. Iowa’s minimum insurance coverage requirements cover $25,000 for the injury or death of one person, $40,000 for total damage in an accident, and $25,000 for property damage. Due to the fact that you are financially responsible for any damages which exceed these amounts, you may wish to carry additional coverage. Here at BLC Insurance, we understand that insurance laws can seem confusing. Our independent insurance agents have extensive training and resources that will allow them to help you find the policy that’s right for you. So if you are looking for help assessing your insurance needs, please give us a call today.